Are you a Theater? Concert Promoter? Ballpark? Are you up to speed on your obligations to ensure that your patrons can purchase tickets for accessible seating? 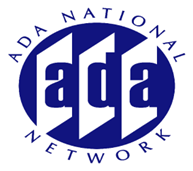 Six years have passed since the U.S. Department of Justice issued it's Revised Regulations on the Americans with Disabilities Act (ADA) which contains a whole section on ticketing with obligations and responsibilities for ticket-selling venues and vendors. Yet there continue to be complaints expressed about the lack of compliance and/or understanding of these obligations. This session is going to focus on the obligation to identify accessible seating, purchasing tickets using the same options as everyone else, purchasing companion seats, transferring tickets, and distribution and pricing of wheelchair accessible locations. This session will review the ticketing regulations with particular emphasis on what entities that control the ticket purchasing process need to know. There will be plenty of time for Q&A so come prepared with your questions! Note: Captioning will only be available on the Blackboard Collaborate Formated version of the presentation available in the Blackboard Webinar Archives link. Captions are not available in the MP4 version of the presentation.